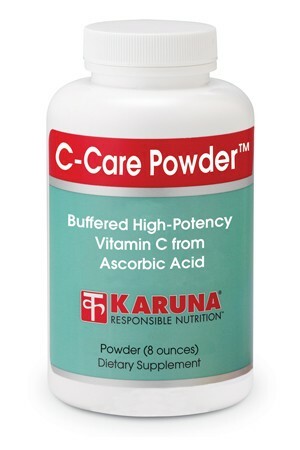 C-Care Powder is a mildly effervescent blend of vitamin C and important minerals that permit a non-acidic formulation in a high-potency bulk powder convenient for use in generous amounts. The minerals in C-Care Powder help maintain a neutral pH environment that may lessen gastric sensitivity, and make a contribution to mineral requirements as well. Derived from ascorbic acid from which corn allergens have been removed, this formula is appropriate for use by most allergic and sensitive individuals. 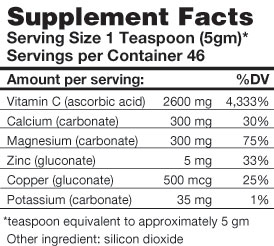 Suggested use for adults: One level teaspoon daily, dissolved in water or as directed.